This Long Time Pizzeria with Established Neighborhood Business For Sale Currently Does Quick Service Italian with Subs, Pizza and Pasta. Arcade games in place as well as a pool table for family fun. Delivery available. Owner has another establishment that requires his full time efforts so he has decided it is best to part with this business and allow someone with the time to benefit from what has been built at this establishment. Friday and Saturdays rock out to the live music or karaoke. This is the perfect business for saavy owner looking to grow an established concept with their hard work and smarts. 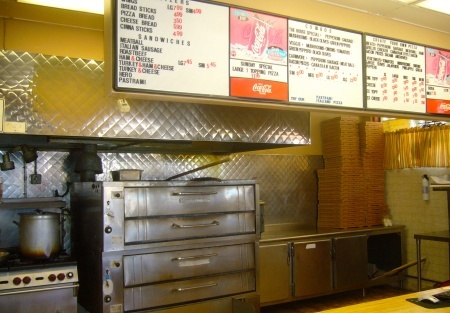 Located near a major hospital with thousands of employees, this local pizzeria has a solid customer base plus a vendor purchase order relationship with the hospital. The owners are leaving the restaurant business and need to sell this pizza business that's become a local favorite joint! Currently serving tap beer with 10 handles, this neighborhood pizza place could be transformed into a gathering place for local sports teams and families with some good marketing person behind the ownership. A corner spot, located on a major street, you have everything you need to get into your own business that's ready to go. the owner will train you and show you the trade. A person who likes to connect with the community will thrive here! Go after local teams - Soccer, Little League, basketball, etc. Go after the local schools for fund raisers and charity events. Owners decision to leave business is your gain. The possibilities are endless with this established pizzeria.